Yes! I said Easter. Orthodox Easter arrives much later this year, May 1, and today begins Holy Week. For those of us who will be doing the cooking, this week’s fasting restrictions present a challenge. Tasting your food to make sure the seasoning is correct is vital, but since our diet is restricted this is impossible. No meat, dairy or olive oil is to be consumed. The experienced cook, and that includes most Greek moms and yiayiás, have learned to cook tradition recipes without sampling. In honor of Greek Easter, this week’s posts will include the delicious foods being prepared for Easter, and some recipes to try while holding the fast. Of course, if you are not restricted this week, feel free to try these healthy recipes, as well as the foods you probably have only tried at Greek festivals. I’ll start with an easy one. 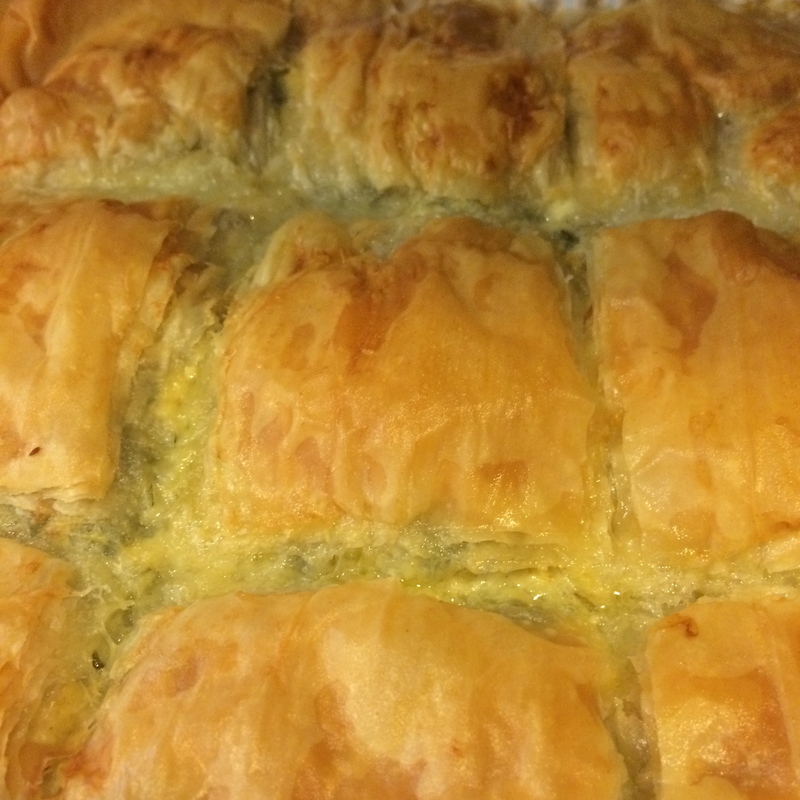 Spanakopita. Don’t get intimidated by the phyllo. It’s easier to work with than you think. Make a few trays and freeze them. It’s a crowd pleaser and having them already prepared saves last minute work. I remember “the making of the spanakopita” as the laborious main even of the day. The spinach would have to be washed and rinsed from the sand at least two or three times, and then dried. Then my mother would sauté the spinach and press out all the excess liquid through a fine strainer. I have so many good memories of watching my mother bake and cook, and learning all that I know from her, but this was not something that looked like fun to me. For years, I never made spanakopita. I made little triangles of tiropita, but never trays of spanakopita. I let my sister slave in the kitchen over that one. I had this idea. What if I didn’t sauté the spinach? How would it come out? Well, I got my answer. Delicious. And the best part? I didn’t slave for hours. I forgot to tell you about my second cheat. Now anyone that is acquainted with me, knows I’m not one to cut corners, or use ready-made products, but for this recipe, I only use baby spinach that has been triple washed! A little more expensive, but worth it! It pains me to even use a Thanksgiving reference from the book, since I have no desire to give up on summer yet. However, this excerpt is a perfect example of how most of the American holidays in our family went. To be perfectly honest, I’d be happy with the mezethes, and more than willing to forgo the turkey. I would like to share the information of a fellow Greek blogger. Unlike me, the home cook who learned from mom and experimentation, the kouzounaskitchen blog is written by a Cordon Bleu trained chef from Greece who also learned her Greek recipes from her yiayia and mother. 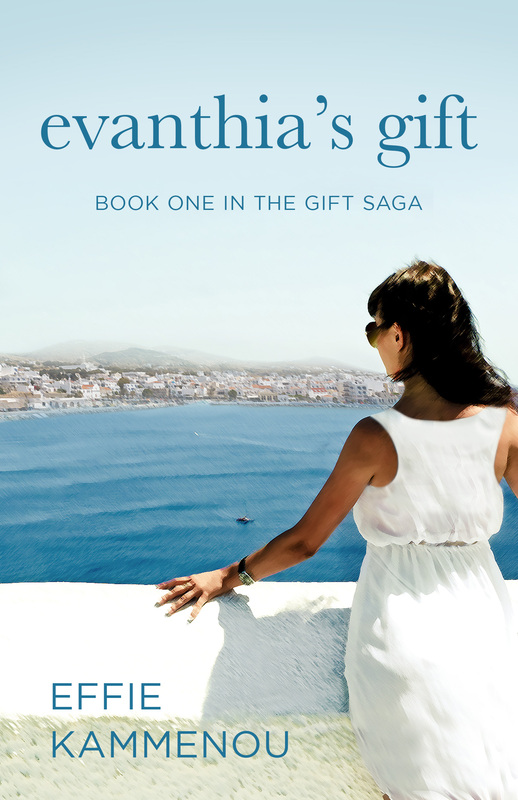 Follow her blog, instagram and twitter, and wait for the release of her upcoming cookbook inspired by recipes from her yiayia’s island.